Are you looking for a module which is ideal for showing products come along with wonderful sliding effects? 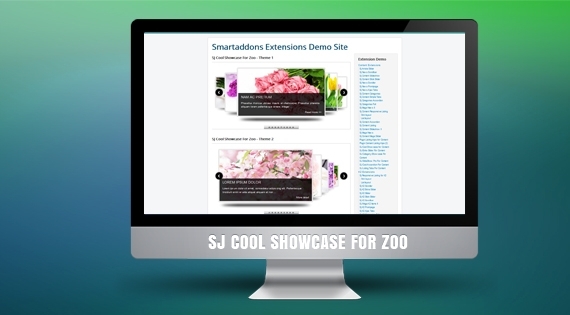 So SJ Cool Showcase for Zoo is a great choice for your website's frontpage. At first sight, your audiences will be impressed by high quality and large images placed at top position of website with dynamic movement due to various sliding operations. Moreover, in each images will have specific title and brief description to bring a quick item overview. Integrated buttons or direction navigation bar also play role in making a professional slideshow as well as the outlook of website. Go deeper in Admin Panel, you can find it easy to edit the width or height of module, show or hide Title, description, social buttons of each item and handle other parameters within module. You can also add more effects we created to make your website more charming, modern and trendy. Click View Demo button to discover it right now!